3 goals in 2 games and all of a sudden things are looking a lot better for Bafetimbi Gomis, but it's a fine line between apparent success and failure. 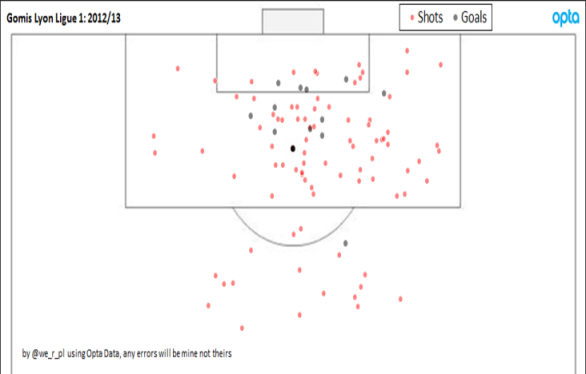 Gomis' goal against Villa came in the 87th minute after a number of good opportunities earlier in the game weren't converted but backs up the saying that the important thing is still being in the right place to miss the chances as eventually things will turn. 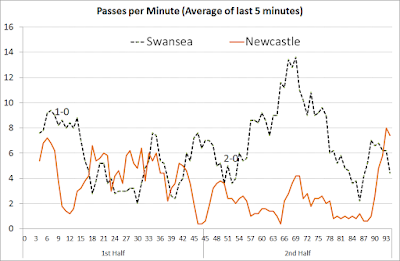 Gomis started the season effectively as back-up striker to Wilfried Bony, despite Gomis mentioning previously that he felt the two would be used together more often, this was fairly unlikely anyway but circumstances at the start of the season made it even less so. In the final pre-season game, both Gomis and Bony started in what was a pretty abject team display against Villareal. To a large extent the team selection/shape was down to injuries and giving a run out to the main first team squad who were still fit and was it was unlikely that both would start away to Man Utd in the opening game of the season. 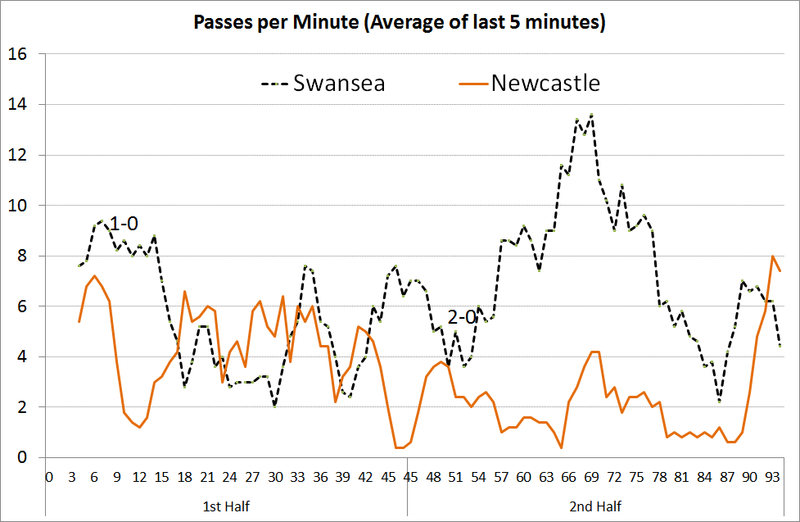 The other thing that made a partnership of Gomis and Bony less likely was the superb start to the season with 3 straight wins in the league so little incentive to change a winning formula. 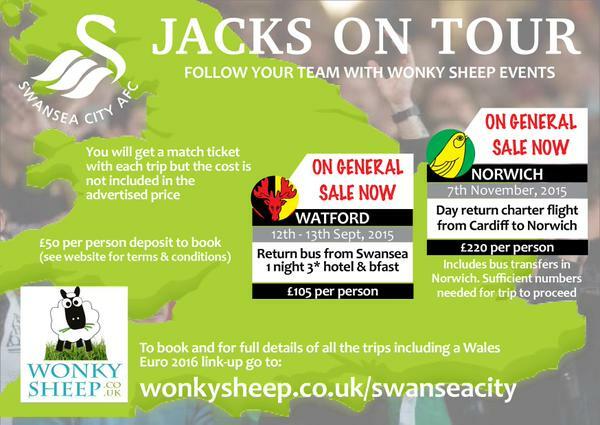 Monk showed his faith in Gomis starting him in the 4th league game v Chelsea as Bony had been away midweek on Cup of Nations duty, it's unlikely that the same would have happened if Schechter/Vazquez/N'Gog had been the option. 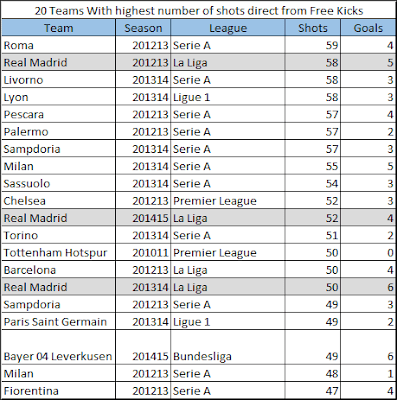 Unlike those 3, Gomis is a proven goalscorer having reached double figures in the French League in each of the last 8 seasons with a total of 30 goals combined in the last 2 (16 in 2012/13 and 14 in 2013/14). 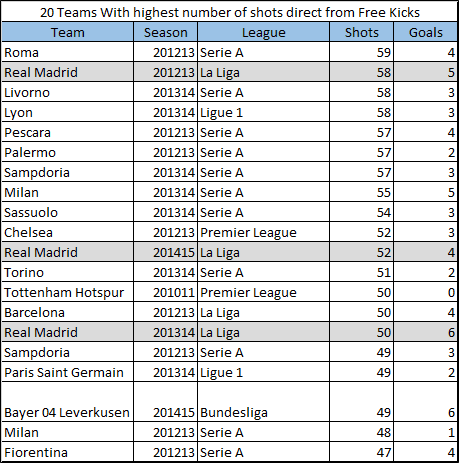 If I had more time I'd split out penalties/free kicks/headers and also look at how the emergence of Lacazette impacted Gomis' play over the last 2 seasons at Lyon. Ultimately, after a stuttering start things finally seem to be settling down for Gomis whether this is him now feeling at home or just putting a shift in to attract buyers next season time will tell. They might not be the force they once were, but a league double over Manchester United is still a pretty impressive feat. Van Gaal's moaning about luck is a sign that he doesn't want anyone to go over in too much detail how they played, especially after going 2-1 down. 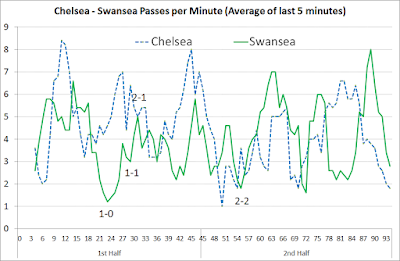 He has a small case to say that they were unfortunate in that they had plenty of the ball (Swansea's 35% possession must be close to a record low at the Liberty) and had a flurry of attempts in a 15 minute period early on in the second half. 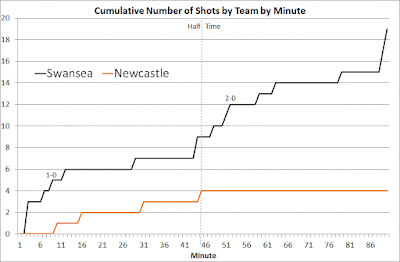 Swansea's 2 shots in the 73rd minute are technically the same event in that Gomis is judged to have scored with his deflected effort coming as a result of Shelvey's shot. Gomis might be a bit lucky to get the credit for this one but was largely responsible for the goal v West Ham that went down as an OG. 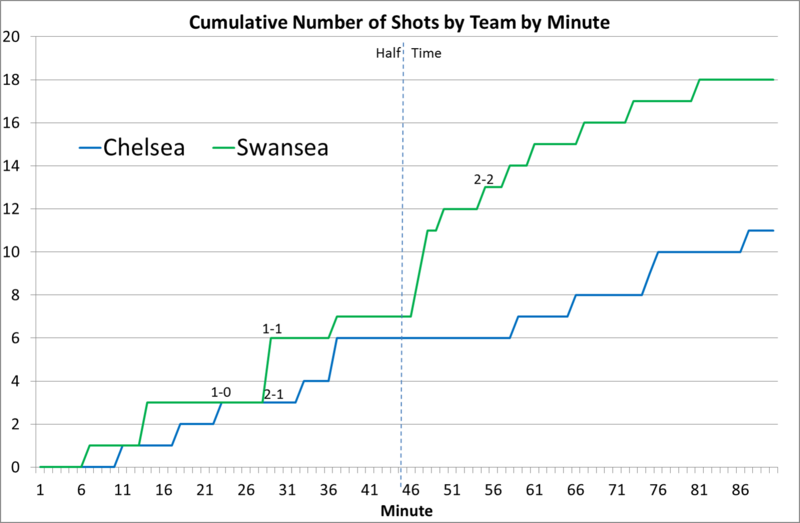 As with the Southampton game, there's an element of fortune in a goal from a long range shot, but that is turned into a win as a result of hard work and defensive organisation throughout the match. 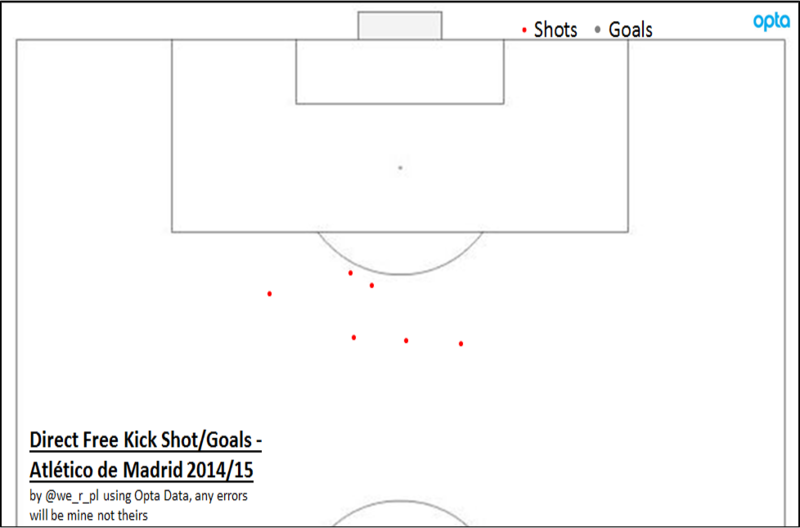 Despite the number of extra shots from Manchester United, in terms of quality of chance that was far more even. 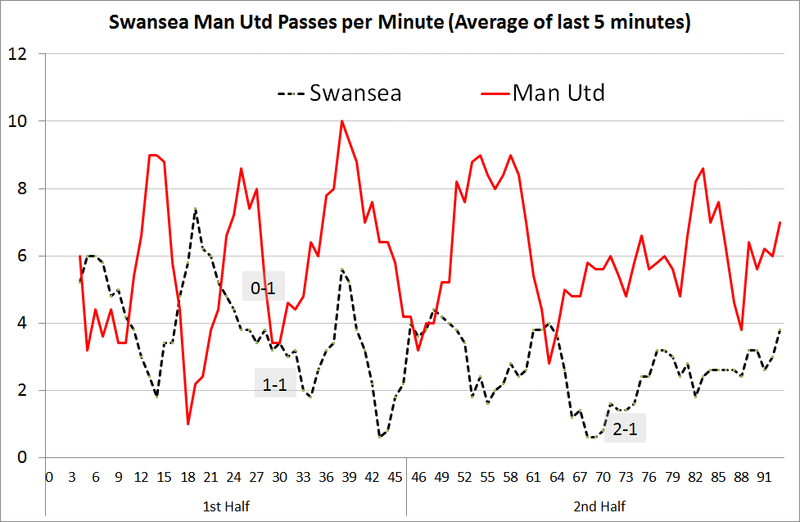 When looking at passing volumes, this shows a similar story to the shot activity, with Swansea rarely averaging more than 4 passes a minute as they rarely built up any control with the ball but even before the winner, it felt like a goal was more likely from a Swansea counter-attack than Man Utd's possession. Being mainly composed of elbows and hair, Fellaini is not the kind of guy who can be inconspicuous. 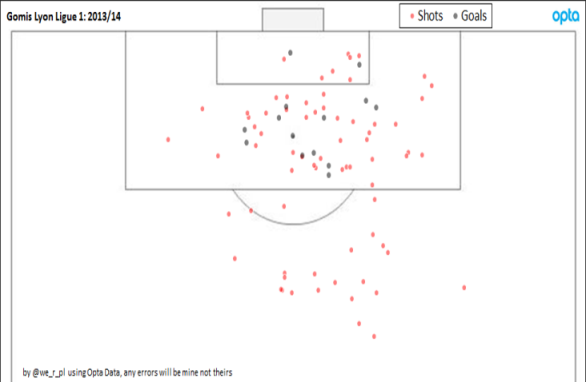 Sometime's 'stick it long to the big guy' is a valid tactic but even this didn't seem to be particularly well executed, partly due to the presence of Fabianski who is far more dominating in his box than Vorm ever was. 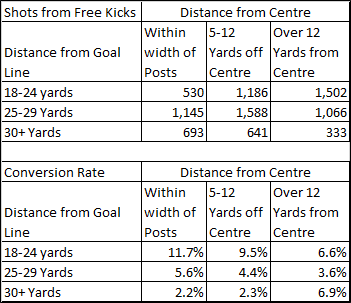 I was surprised when going back over the stats that Fellaini only had 6 aerial duels, which show how often he was allowed to win the ball to enable any Swansea defender to compete for any knock down rather than getting involved in a duel, losing it and then being temporarily out of the game (this is similar to tactics applied to the likes of Crouch and Andy Carrol in the past). 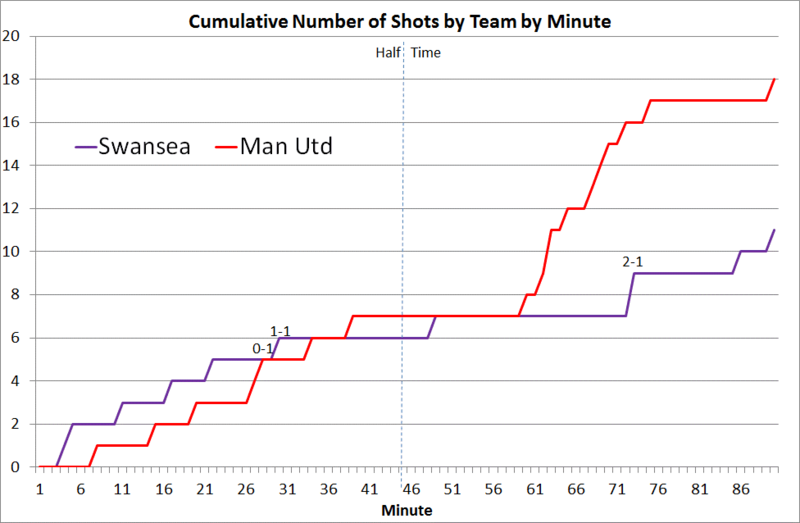 Fellaini with 6 fouls, double that of the next player and as many as the whole Swansea team. 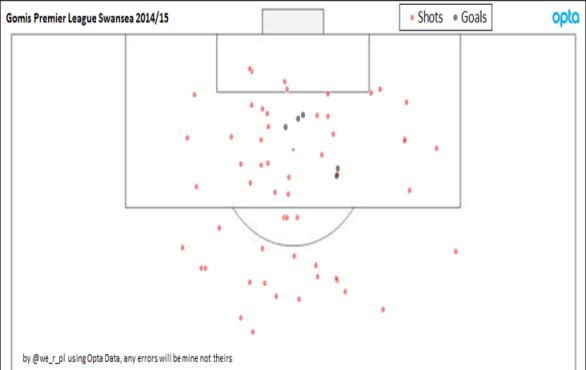 Fellaini with 60 passes received, 10 more than Rooney and plenty of them as a result of a long pass. 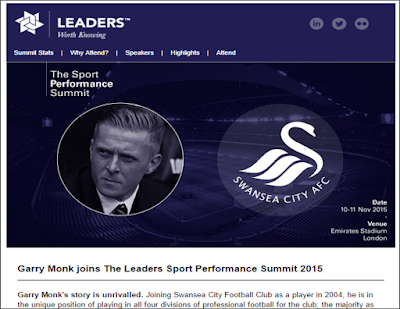 If time allowed, a more detailed look at the lineup with only 1 recognised winger would be interesting, there's was talk that Monk had a plan and it certainly seemed a well thought out selection and strategy. With another top flight season all but guaranteed, it'll be interesting to see how much experimentation there is between now and the end of the season. 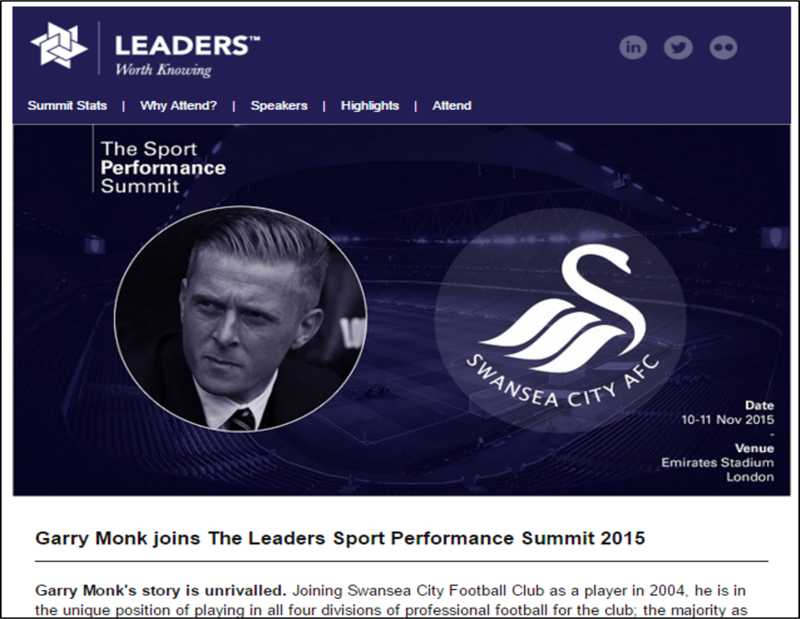 Without wanting to wish the season away, to some extent pre-season for 2015/16 has already begun. 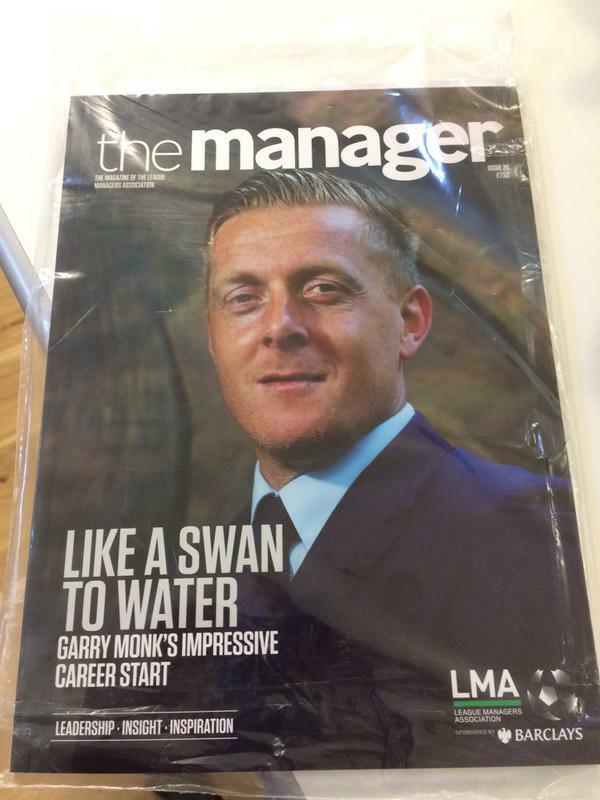 Saturday's game against Sunderland saw Garry Monk now being in charge of Swansea for the equivalent of a full season (38 games). 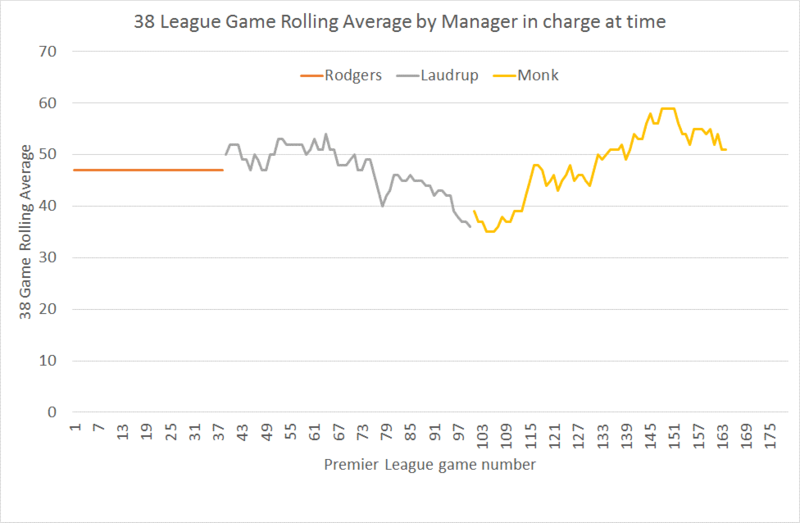 In that time he managed 52 points which compares favourably with Rodgers (47 points) and Laudrup (46). 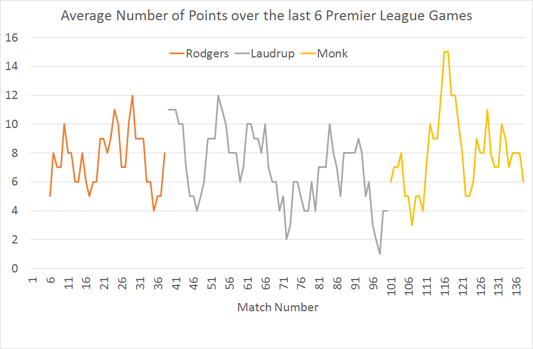 Rodgers with 47 points in Swansea's first season was actually better than Laudrup's total even though Swansea ended up finishing a place higher in the league. 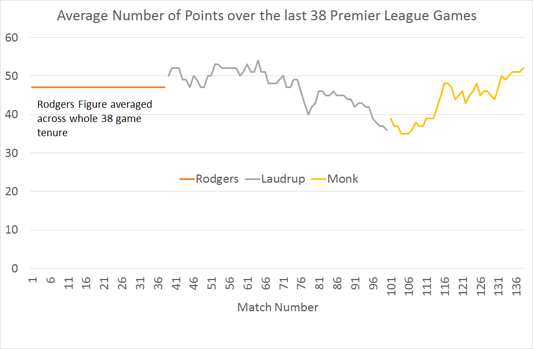 For me, the thing that stands out is the decline that preceded Laudrup's sacking with only 36 points from 38 games at the point he left, which is relegation form, you could explain it slightly by the complete switching off post the Capital One Cup win (strictly speaking things started to go sour the week before with the 5-0 defeat to Liverpool post a mid-season trip to Dubai). 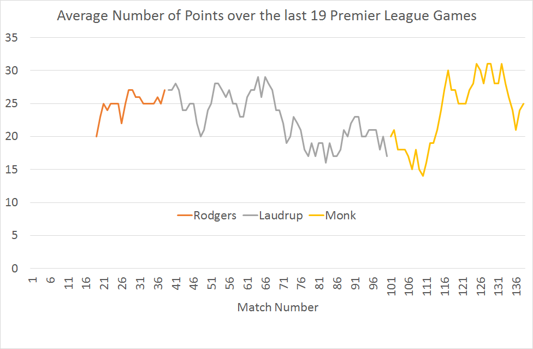 Although the 3-0 win v. Cardiff in Monk's first game saw an immediate upturn in fortunes it wasn't an instant turnaround with then just 3 points in the subsequent 6 games, but to Monk's credit the close to last season and this season so far have been impressive. 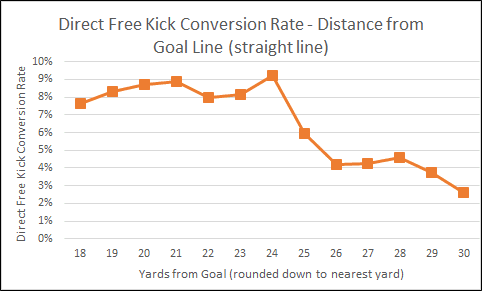 38 games is obviously a long period over which to track performance, smaller time periods offer a more immediate level to evaluate even if they are more variable just by chance runs and relative fixture strength. 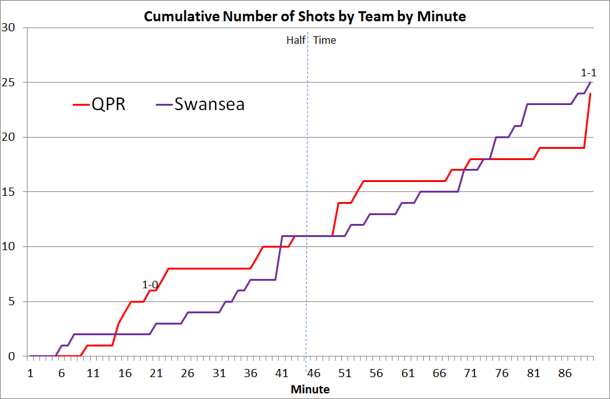 Looking at performance over a 19 game period gives the opportunity to compare Rodgers as well and the noticeable improvement in Swansea's showing in the 2nd half of 2011/12 was in no small part to the first coming of Gylfi. 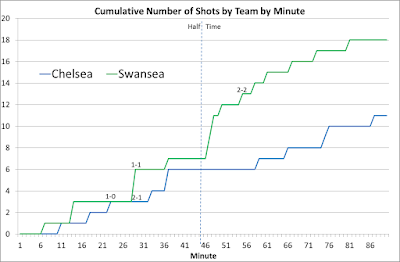 Rodgers with 20 points in first half of season and 27 in second (Gylfi first played in game 21 v Arsenal, with game 20 being a win v Aston Villa so wasn't all down to Gylfi). 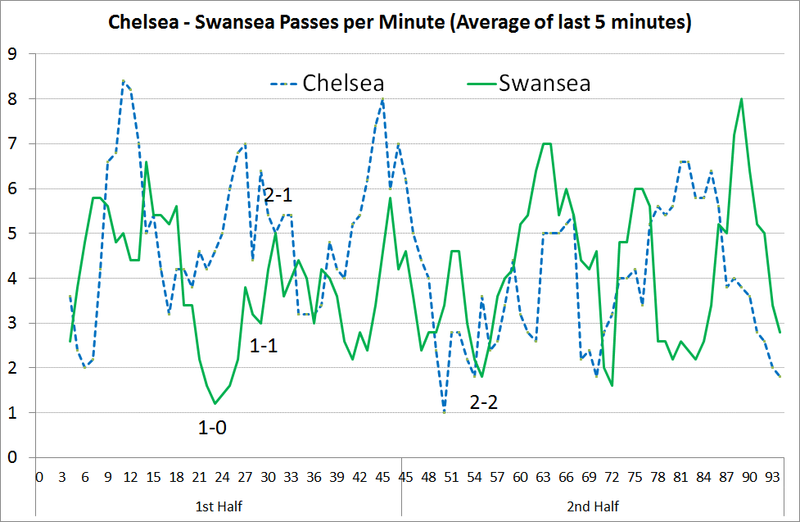 6 games is often used when people talk about the 'Form Guide', it may not offer the best insight into a team's behaviour but does help to show swings in highs and lows. As I've said before, overall Laudrup did great things for us, even if it did turn sour in the last few months especially. It's also maybe a bit unfair to compare current squad performance where £5m players are the norm with Rodgers' squad but overall you could argue that there's been generally a period of gradual improvement every season for the last 7-8 years (even last season you could argue the knockout stages of the Europa and running Napoli so close was a feat to rival the Capital One cup win). 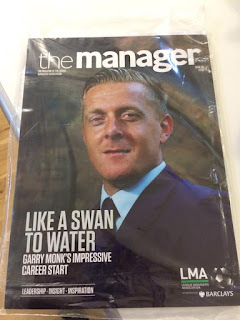 Swansea are now in a weird situation where they are a well managed stable club that could finish between 9th and 14th in the league for the forseeable future. 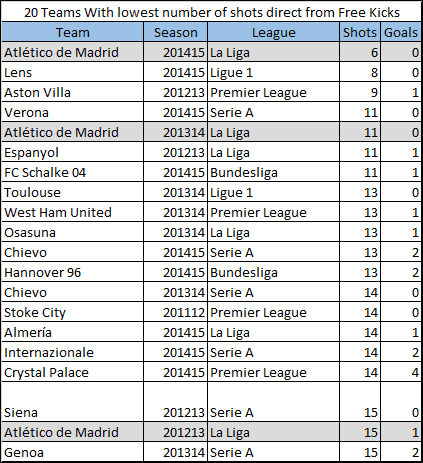 Even given Southampton's incredible season, chances are they'll still end up finishing 7th. The amount of money required to have any realistic expectation of top 4 (or even top 6), is huge and would probably require a Leeds style 'buy now pay later' approach which main bring short term fun but a long term headache. 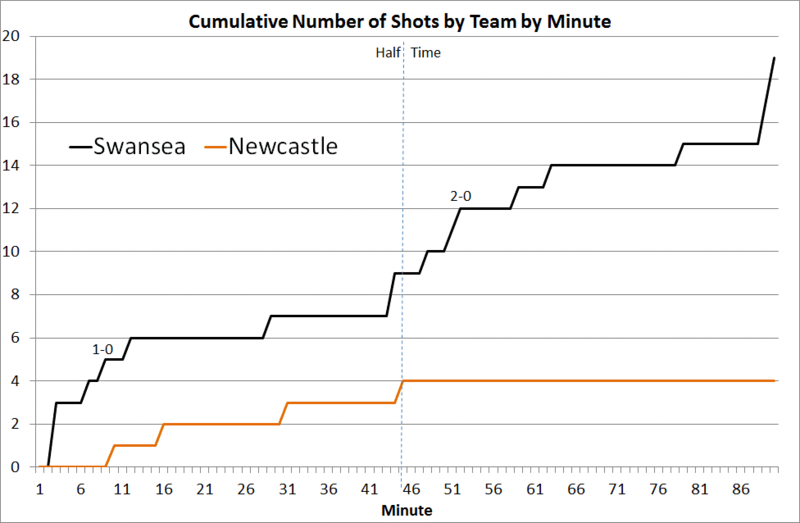 Comfortable mid-table may not be the most exiting thing in the world but it definitely beats the 'Interesting Times' going on elsewhere.